Verreaux’s sifaka (Propithecus verreauxi) and the ring-tailed lemur (Lemur catta) have been the subjects of long-term collaborative research by Malagasy and US researchers for over 25 years. Since 1984, more than 750 individual sifaka living in about 60 contiguous social groups have been the focus of a program of field observation and capture-and-release, with individual tagging, anatomical measurement, and genetic and hormone sampling. 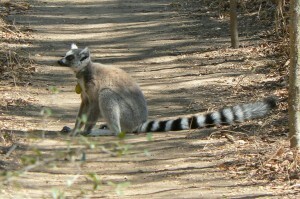 Sustained study of ring-tailed lemurs began in 1987. Close to 250 individuals living in 12 groups have been tagged and followed since then, and a wide range of behavioral, anatomical, and physiological data collected. 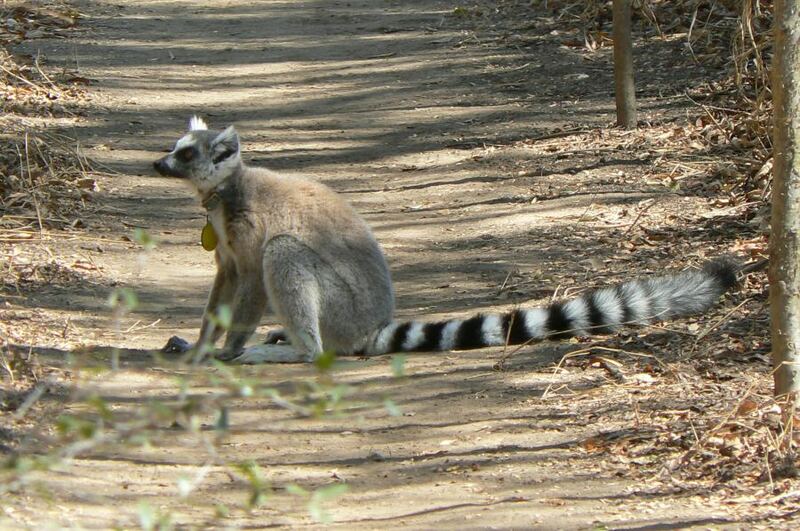 These research programs have yielded significant insights into the life history and demography of the diurnal lemurs at Bezà Mahafaly, and have also supported other important areas of research. 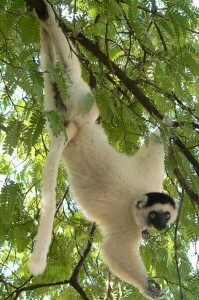 For sifaka, of particular note are the investigation of reproduction and mating strategies and their hormonal underpinnings, and of the genetic structure and heritability of phenotypic traits; fruitful studies of behavior and endocrinology among ring-tailed lemurs have been complemented by research on dental ecology, and health and disease of this population. Click on the links below for more information about these long-term research programs.